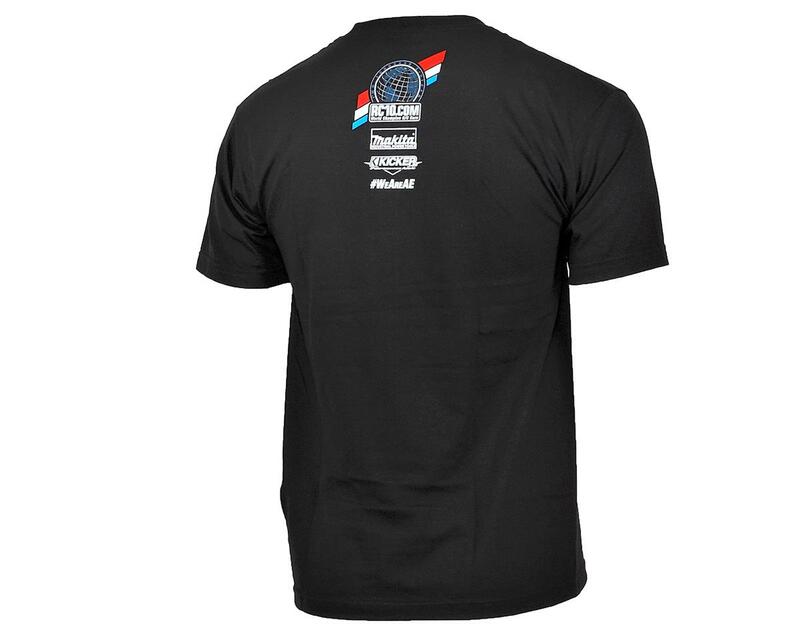 The Team Associated 2016 Worlds T-Shirt is the same shirt worn by the Factory Team at the 2016 IFMAR 1/8 off road world championships in Las Vegas. This shirt features the Associated 2016 Worlds graphic on the front, with a small graphic on the back below the neckline. The graphics are printed on a 100% cotton Alstyle shirt and the shirts are available in a variety of sizes.